While analysing the after effects of political upheaval, new taxes and a brand new political party in the office in 2018, you may find it hard to believe that real estate is the most promising investment sector of the country. 2018, being the election year, left lasting impact on the economy - the realty sector remained stagnant for most of the year and property business in all leading cities did not show any significant activity. Since the beginning of 2019, the number of search queries received at HomesPakistan regarding properties in Lahore and sale purchase activity reveals that a lot is happening there. Lahore realty market has always been in limelight and abuzz with activity, no matter what the situation is around the country. With the number of new residential societies springing up in the outskirts of city and extension of phases in existing societies indicate ever growing interest of serious property buyers and investors in Lahore real estate market. Moreover, investing in newly launched residential societies in Lahore is far easier and practical as properties and plots can be bought on easy instalment plans. Therefore, majority of people belonging to middle-income strata from surrounding semi-urban cities find it a lucrative opportunity to buy property on instalment there and migrate to provincial capital. It means easy instalment plan triggers the demand of properties and plots in these newly developed residential societies. However, for wealthier investors and the ones who can afford hefty investment plan, few societies capture top position in popularity chart without even offering any such payment plan. 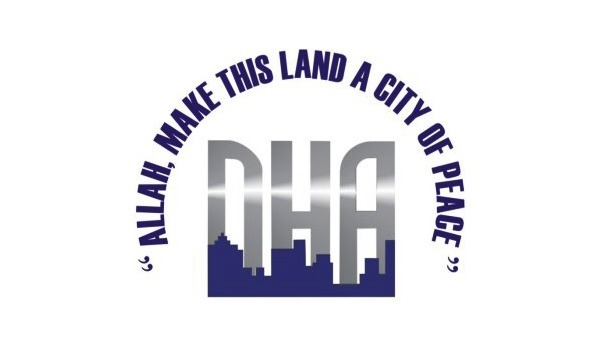 Defence Housing Authority (DHA) Lahore is one such premium residential societies that has grown tremendously since its launch (From Phase-I to Phase-XII) and undoubtedly has become the most popular residential society with lucrative investment opportunities in Pakistan. It is also a posh society that offers world class facilities and amenities in order to have a luxurious lifestyle. Besides offering lavish and deluxe lifestyle to the dwellers, the society manages to attract genuine property investors as well to invest there and earn best return on investment (RoI) on selling. It is widely believed that the reason behind continuous increase in prices of properties and plots in DHA Lahore is the surge in investment made by local and overseas Pakistanis. With expansion from Phase-I to Phase-XII, DHA Lahore has been known to offer extensive investment opportunities in plots and properties alike. Homespakistan.com, the best property portal in Pakistan, notes the online search trend of DHA Lahore in 3rd Quarter of 2018 based on the number of queries recorded at the website for properties and plots in DHA Lahore against the total searches made for properties or plots in Lahore. The data indicates that like always, DHA Lahore has become the most searched residential society in the city in Q3, 2018. It is not wrong if we state that DHA has been contributing positively towards Lahore realty market and known as one of the most bankable investment opportunities in the city. Based on the escalating number of search queries receive at HomesPakistan regarding DHA Lahore indicates that it is and will always be the best and most popular real estate investment option in Lahore in the years to come. No matter, what the economic situation is the property transactions will keep increasing there, giving further push to the prices of properties and plots in DHA Lahore. Therefore, if you have enough finance to back your purchase, you must consider investing there now in order to reap benefits later.